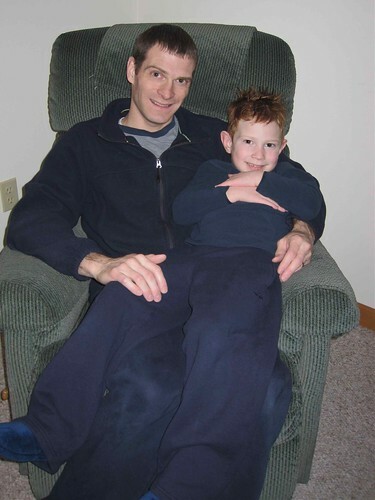 The other day I bought Kade a pair of navy blue sweat pants. Mickey also has navy blue sweat pants. Kade's new joy in life is to be a matcher with his dad. Notice the placement of Kade's hands. He's covering up the Old Navy on his chest since Mickey doesn't have it on his.